Mice and chipmunks and spiders — oh my! Heating and cooling technicians often find these and other unwelcome critters in air conditioning units during spring inspections. 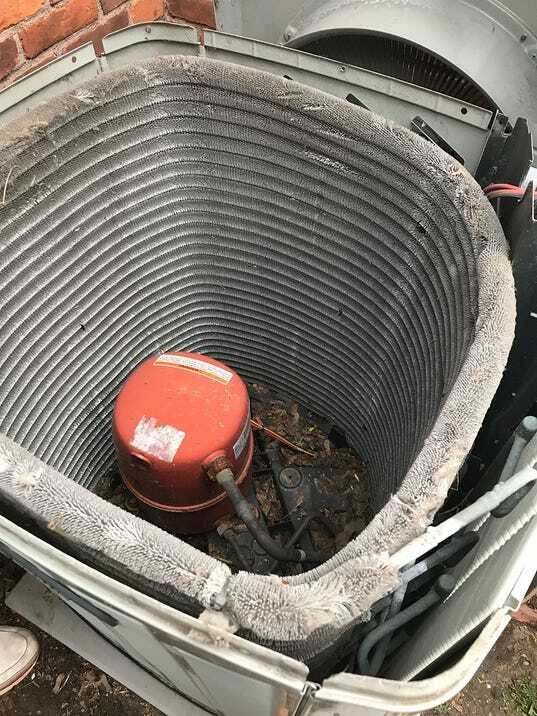 The potential for a rodent invasion is just one reason why it’s important to get your air conditioning system checked in the spring before the weather warms up too much. While a spring tune-up ensures optimum operating conditions, such routine seasonal maintenance also helps uncover hidden problems that include mold or bacteria building up in the drain system inside the house. A professional can easily and quickly detect and treat these problems. Paris Heating and Cooling offers a multipoint check that involves opening up the air-conditioning unit and checking for uninvited guests as well as other potential issues. Technicians make sure cooling coils are clean so they function at peak performance. “Many people think their furnace filter only applies to the heating season, but it’s very critical in the cooling season as well,” Diamond says. Lack of clean air flow will cause your unit to stop cooling and ice up inside, creating a service call that could be avoided. Rochester summers are humid enough without adding moisture to the air, so set the humidistat to the off position. While you’re at it, flip the duct damper from winter to summer, too. Diamond’s most important tip to homeowners getting ready for the warmer weather?